We expect top climbers form the 3 countries, so there will be a high performance level and sensational finals. 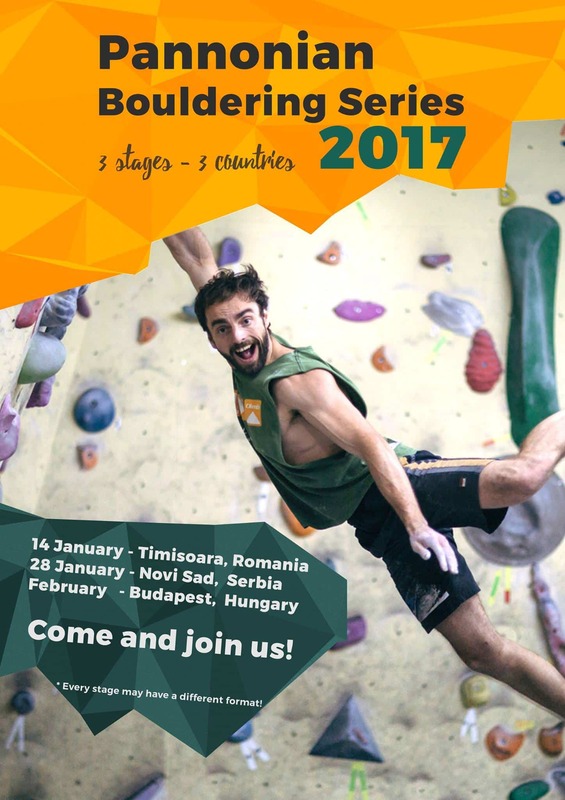 The first stage will be on 14.01.2017 at One Move Climbing Gym in Timisoara, the second in Belgrade Serbia and the 3rd in Budapest. The 1st stage of this year’s Pannononian Bouldering Series took off at the One Move Climbing Gym in Timisoara. 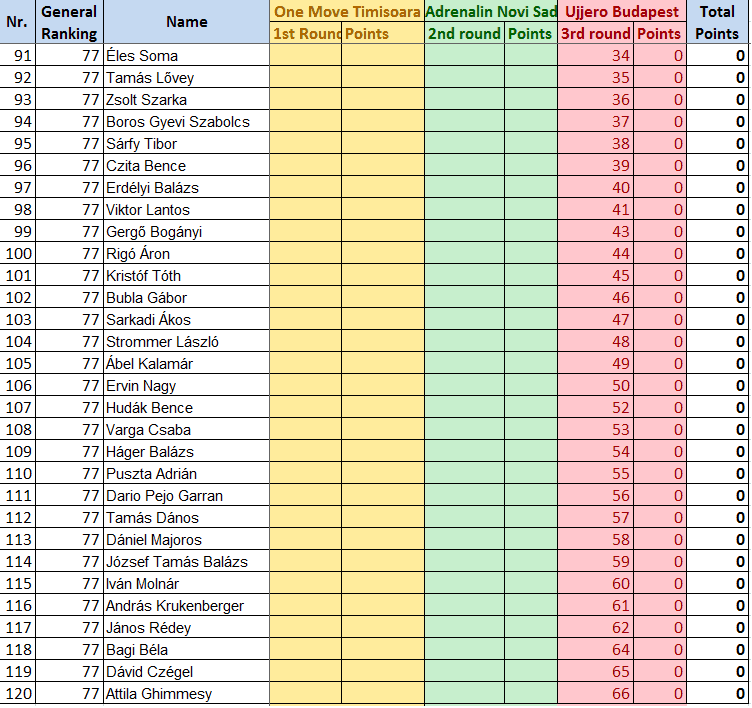 We had a surprising number of participants of ~60 people from all 3 countries. In comparison with the previous PBS events, this one has surpassed every aspect of the competition, mainly through a much higher level of athletic performance, quality of routesetting and a very enjoyable show in the finals. The main contrast in style was the definite shift towards a more dynamic, coordination-demanding, three dimensional climbing on esthetic boulder problems. The “classic” uninspired ladder-type problems have been substituted with technical, fun problems which demanded brainstorming, mobility but also full-body-power testing boulders for the strongest climbers. Maximum care was taken not to set morphologically dependant boulders, making everything accessible for everyone in the most enjoyable manner. Overall, the purpose of the competition was to pinpoint as many aspects of climbing movement as possible, and this year it became a massive success! After, the routsetters and organizers had a short conversation and came to the conclusion very quickly that this event, connecting Serbia, Hungary and Romania at the present level could easily become one of the strongest and most prestigious annual competitions. 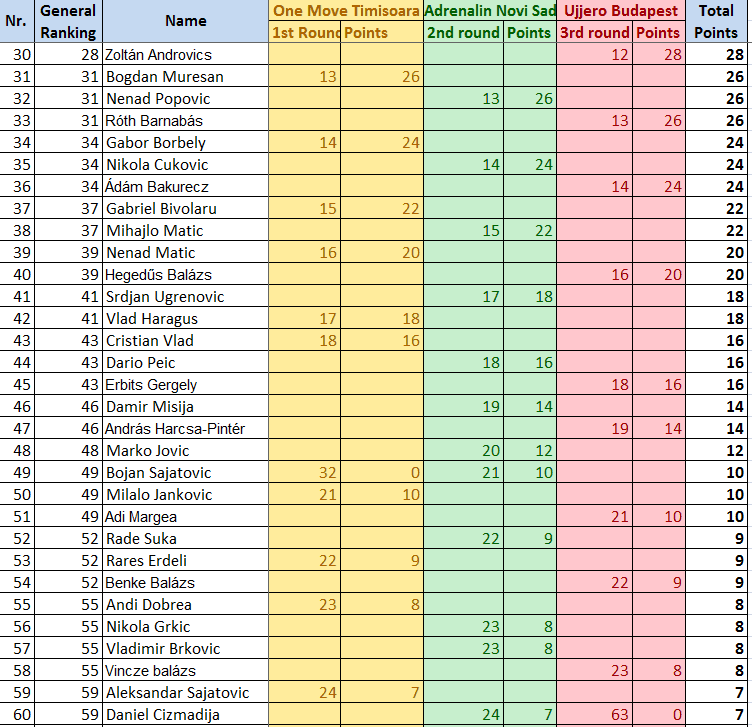 We would like to thank the big number of participants from Serbia, the presence of a few but very strong and skilled climbers from Hungary, next year hopefully also in greater number but also the few participants from Bucharest, from where Ana Maria Zaharia won the women’s 1st place. Also we would like to thank the people who helped in the organization of the competition, everyone’s effort was visible and necessary for the achievement of this quality sports event. Congratulations for Luka Perunovici from Serbia at the men’s and Ana Maria Zaharia at the women’s from Romania, both climbers displayed exceptional skill, strength, power and coordination in a stylish manner in the final showdown. It was the first year that we had 3 stages in 3 different countries and this raised the level o the competition. We had a total of around 200 participants, including some top climbers. 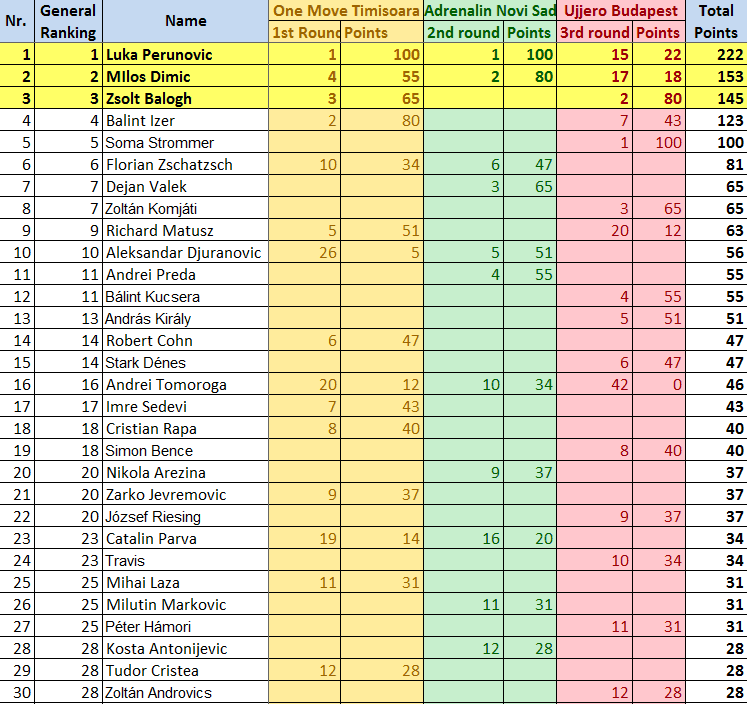 The overoll winners were Ioana Sârbu from Romania and Luka Perunovic from Serbia.